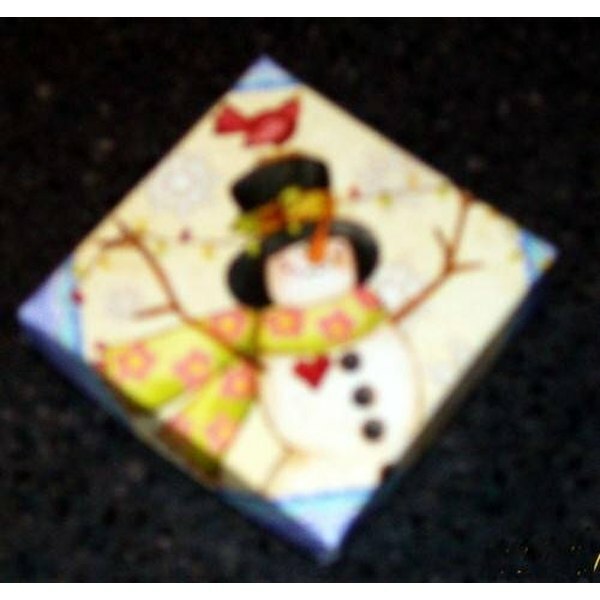 Make a small gift box from an old greeting card. 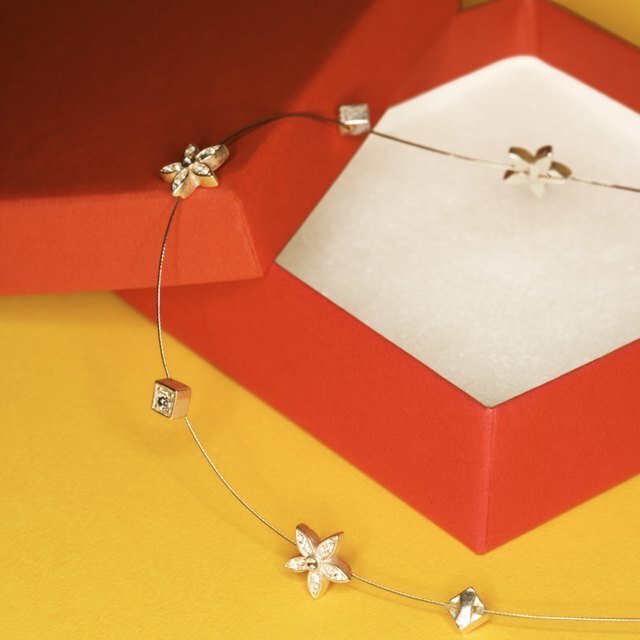 Recycle greeting cards to make free gift boxes suitable for small items such as jewelry or trinkets. Because the artwork on the front of the greeting card becomes the top of the box, no gift wrapping is required. Cut the card in half down the folded crease. You now have two pieces---a picture and a plain sheet with the printed greeting. Make the top of the box, using the front of the card. Cut off either the top and bottom or the side(s) of the card front to make the card square, being sure to center the desired image. Fold up each of the four sides of the card to create the standing sides of the gift box. The width of the folds will determine the depth of the box. A small greeting card will typically accommodate a depth of about 1/2-inch sides, while a large greeting card can have a depth of about 1 inch. After measuring and folding up each side, a small flap will be created at each corner. Pinch these flaps to create triangles and then press them flat against the inside walls of the gift box. Make distinct creases to mark your folds. Carefully lift and completely unfold one point at the center of the card. As you pull this back, the corner flaps and one sidewall of the greeting card box will come loose. (See Fig. 2.) Holding the two corners of this sidewall, press in the flaps to re-form the wall of the box. Repeat Steps 6 and 7 on the opposite side of the box. A dab of glue may be added beneath the center points for added stability. Repeat steps 2 through 7 using the plain half of the card to make the bottom of the box, noting exceptions for steps 3 and 4. For Step 3, mark the center of the card on the side of the card with writing and fold in points to conceal the writing. For Step 4, make the folds 1/8-inch wider than those of the box top. This will make the box's bottom slightly smaller than the top, allowing the cover to fit correctly.